Today, CD Projekt Red unveiled a first look at the Blood and Wine expansion for The Witcher 3: Wild Hunt with promotional art posted via their official Twitter account. Sticking with what we do know about this latest expansion for The Witcher 3: Wild Hunt, and it looks as though Blood and Wine will be a significantly larger package than its predecessor. It has previously been said that the combined size of the two DLC packs would actually be larger than The Witcher 2 was, and new information suggests that Blood and Wine will add twenty extra hours of content. The promo image doesn’t give much away, either, save for the the fact that Geralt seems to be drinking his demons away here. He also appears to be in a fairly relaxed mood as he has quite literally let his hair down. 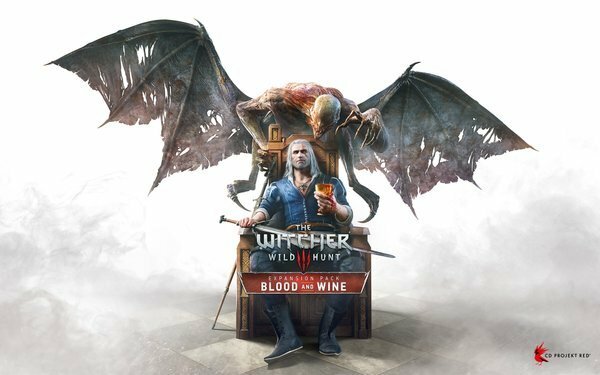 Speculation still suggests The Witcher 3: Wild Hunt – Blood and Wine will be releasing in the middle of June, but we’ll bring you more news on this as it comes to us.